Question: We have lived in a larger metropolitan area and sold our home and moved out here to a small town in Western Kansas. Now we need to sell our home here. We talked with a real estate agent about marketing our home and they don’t encourage cooperating with other real estate agents. Is this common in smaller towns? It doesn’t seem to be in our best interest to limit the sales agents and buyers who might like to see our house. Answer: I would agree with you, but it seems many small towns are behind the times and operate this way. If you don’t feel like it is in your best interest I would suggest talking about it with the agent and asking why the agent thinks that it is in your best interest. As you experienced in your metropolitan area, the assumption is your listing agent did offer to cooperate and compensate other agents with a potential buyer. The selling (buyer’s) agent still presented all offers and arranged showings through your listing agent. So as a seller you still had contact only with your listing agent. Also you probably did not incur an additional fee. The listing fee was most likely split with the selling agent, which is common practice. You said they don’t encourage it, but you, the seller, ultimately get to make that decision about cooperating and compensating other agents. Kansas law requires the seller to make the decision. Check your listing contract. If you aren’t comfortable, do some research to make an informed decision that is best for you. Question: What’s the difference between a “salesperson” and a “Realtor”? A salesperson is just that, someone who holds a license to sell real estate. A Realtor is a salesperson who is a member of the State and National Board of Realtors. REALTOR is a trademark and real estate professionals who are Realtors adhere to a code of conduct, professional standards and abide by the REALTORS Code of Ethics. Question: When looking for a new home, do I need to call the Realtor whose sign is in the yard? Answer: Generally speaking, NO. You can interview and select a Realtor of your choice to help you find a home. The Realtor you select can show you any home that is listed no matter whose sign is in the yard. The exception to this rule is if the seller does not want to allow the Realtor. If the seller is interested in selling their property, generally they will agree, even a For Sale By Owner can be shown and negotiated with your Realtor, again, if the seller agrees. So if you are shopping for a home and want to see a house, no matter whose sign is in the yard, let your Realtor make contact with the listing agent or seller. 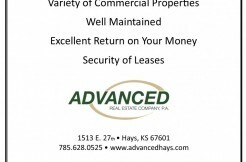 Each transaction is unique, but we buy and sell homes everyday so we are familiar with the process and paperwork. Question: We are moving away and will need to sell our home. We have a friend who is a Realtor but we aren’t sure we want to hire a friend. Answer: Well, that can be a tough spot. Some people are uncomfortable listing with family or friends. Or maybe it’s because you think another Realtor will do a better job. My advice to you is to make a business decision based on business information. You wouldn’t hire another professional because they are your friend if you didn’t think they would do a good job for you. The same is with real estate. If the person is your friend, they won’t stop being your friend if you make an independent business decision. Question: How do I know if I’m ready to buy a home? Answer: Do you have a steady source of income? Is your current income reliable? Do you have a history of credit (like a car payment or credit cards)? Do you have any money saved for down payment or closing costs? Do you have the ability to pay a mortgage every month? Are you tired of paying your landlord? If you answered yes to 4 out of the 6 questions – you’re ready. Question: I’m ready to go shopping for my first home – how do I know who to use as my Realtor? Answer: Find a Realtor who listens to what your needs are and shows you homes in the price range you are wanting. Interview a few and choose a Realtor you are comfortable with and whom you can trust. Question: My spouse & I are getting ready to purchase a home – it has been suggested that we get a home inspection. The property appears to be in good condition – why should we spend the money for an inspection? Won’t the appraiser tell us if there is a major problem with the property? Answer: Appraisals and Home Inspections are different. An appraiser’s job is to estimate the value of the home and make sure the home is marketable. An inspector evaluates and gives the buyer an impartial evaluation in a detailed report on the physical condition, structure, construction and mechanical systems. He or she identifies items that need to be repaired or replaced and can estimate the remaining useful life of the the major systems, equipment and such. Spending a few hundred dollars on a detailed inspection report may save you thousands if something major is found such as a cracked heat exchanger on a furnace. Something like that is not only a money saver – but could be a life saver. Question: What should a homeowner do to prepare their house prior to listing it for sale to obtain the best price and quickest sale possible? Answer: You’ve heard the old saying “You can only make one first impression.” That also holds true for your home when prospective buyers are shopping. * The first thing a buyer sees is the front yard and front door – they should be clean and neat. * Appeal to their senses. Allow as much light as possible- natural & other. Have potpourri or air fresheners. * Make space. Clean out the closets and basement. Pre-pack items you won’t be needing. If the basement and store room are full, rent a storage unit. Store rooms that are over flowing don’t give the buyer the opportunity to see how much space you really do have. * Little things mean a lot. Repair all those minor things that you tolerate – leaky faucets, loose door knobs, etc. * If you have outdated carpet or the walls are in bad need of paint – go ahead and replace the carpet and paint. A buyer can’t always look past these items. * Hire a Realtor for the best price & quickest sale – after all it’s what we’re trained to do.